We are finally getting to a tipping point on the analysis of gender imbalances in companies. After decades of pointing the finger at women and what they do, don’t do, or do too much, a chorus of voices is finally being raised putting responsibility for balance where it belongs: with business leaders. 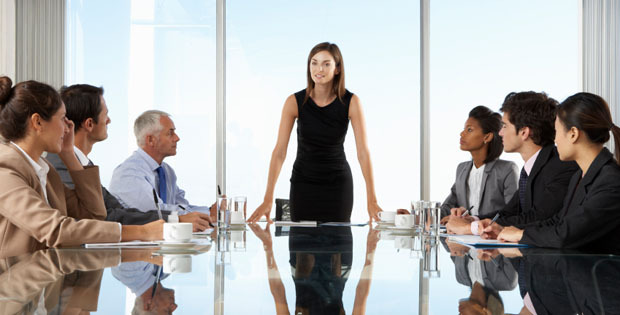 “The lack of women in an organisation is a management failure,” says a recent report published by King’s College London and sponsored by KPMG. I’ve seen the same in my work with large multinationals: There is only one key success criteria for gender balancing organisations, and that is leadership. This report’s recommendations for balance? The same as for most other strategic priorities. It has to be convincingly led by the CEO, be owned by all managers who, in turn, lead by example and who are able to communicate effectively why it is important to the business. This is hardly revolutionary. And yet relatively few companies have applied this sensible change management approach to the issue of gender. In another report, McKinsey also pointed to the pivotal role leaders play in achieving gender balance. They found that the single most significant success factor for balance was the CEO’s leadership, and specifically how the CEO framed the issue. “The difference between the committed CEOs and others is subtle,” the report suggests. “The former make the goal clear and specific and tell everyone about it, while others fold ‘women’ into ‘diversity’ and ‘diversity’ into ‘talent,’” diffusing focus. Sally Krawchek, one of Wall Street’s leading ladies and now head of 85Broads, a powerful women’s network, has added her voice to this perspective in a recent post. Among her ten tips for balance, one suggests, “Educate managers on the business differences between men and women in the workplace,” while another emphasizes, “And then spend even more educating your managers on the difference between men and women.” While this may sound obvious, it is extremely rare for any gender initiative to include men at all. Most companies’ efforts on ‘gender’ are still exclusively focused on women. The shift in all this is that after a few decades of asking women to adapt to organizations, companies are starting to adapt their organizations to women. They are asking managers to learn new skills to manage a new more gender-balanced workforce and customer base. The lesson beginning to emerge as companies’ progress on gender balance stalls is that we have relied on the wrong analysis of the problem. We have spent decades thinking that the lack of balance in business was caused by women doing the wrong thing or saying the wrong thing or even wearing the wrong thing. This led to an elaborate panoply of “fix-the-women” “empowerment” programs. But at last the collective wake-up call is hitting the mainstream. CEOs know it, yet still need to learn how to share their new-found understanding across global cultures and management levels. Doing so will take courage, conviction and clout. So may the best CEOs balance their businesses… and may their companies’ enhanced business performance convince the rest. ← Decay in Nigerian university system: Who is to blame?